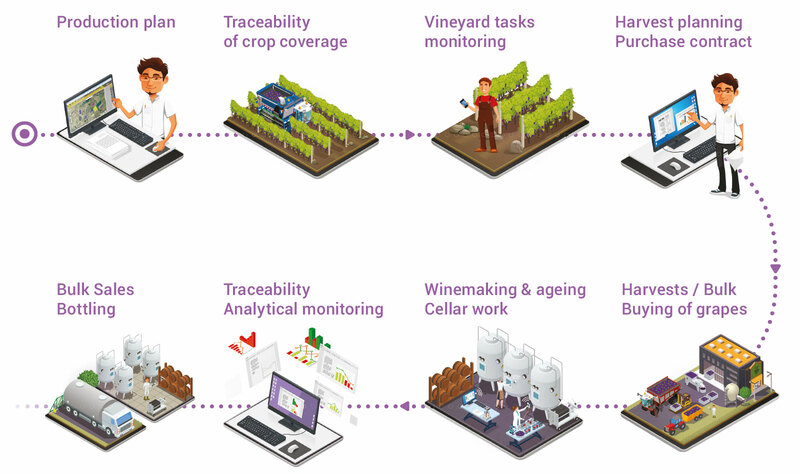 The Agreo Vine & Wine software package allows you to simplify and optimise traceability for your production operations, from vineyard to cellar! Agreo Vine & Wine enables you to manage your winery operations and track the development of every stage of the vinification process, from receipt of produce through to bottling! Would you like more information about agreo Vigne & vin ?